opcje binarne czy forex starstruck rencontre avec une star bande annonce bar de rencontre celibataire paris legit hookup sites reddit preguntas para ligar un chico how do i hook up two monitors to my pc look these up http://hongrie-gourmande.com/frensis/1016 site de rencontre et mariage arabe site de tchatch gratuit Focused Ion Beam (FIB) is widely used for Transmission Electron Microscopy (TEM) sample preparation. Ions from the LMIS remove material by sputtering in nanometers precisely. Other applications for FIB include repair and modifications of integrated circuit, ion beam lithography, failure analysis and micro-electro-mechanical systems (MEMS) fabrication. The source of ions comes from LMIS. LMIS comprised a variety of elements, both conductive or non-conductive, such as Fe, Co, Ni, Ge, Au, Si, Ga, W, etc.. The majority of the FIB in the market uses Ga as their ion source. Ga is a popular metal due to its properties of low melting temperature and low volatility. A Taylor Cone is formed at the tip of the LMIS needle when there is an electric potential between the LMIS and extractor. The ion beam will pass through the suppressor and the extractor once the voltage potential goes beyond the threshold. Some of the important parts which involved focusing and steering the ion beam include the suppressor, extractor and aperture strip. See Figure 1. FIB can incorporate the imaging function of a Scanning Electron Microscope (SEM) to allow operator to visual the sputtering in action and also reduce the time required to remove specimen over to SEM and vice versa. The additional function of SEM is that it enable the system to deposit material as well as to etch material when gas is injected. The secondary electron beam is able to assist a Chemical Vapor Deposition (CVD) process to deposit material with precision as good as FIB. Commonly the Pt Source is used as the injection gas. The Pt source is mildly heated over its melting temperature in the crucible into vapour state before injecting into the chamber. 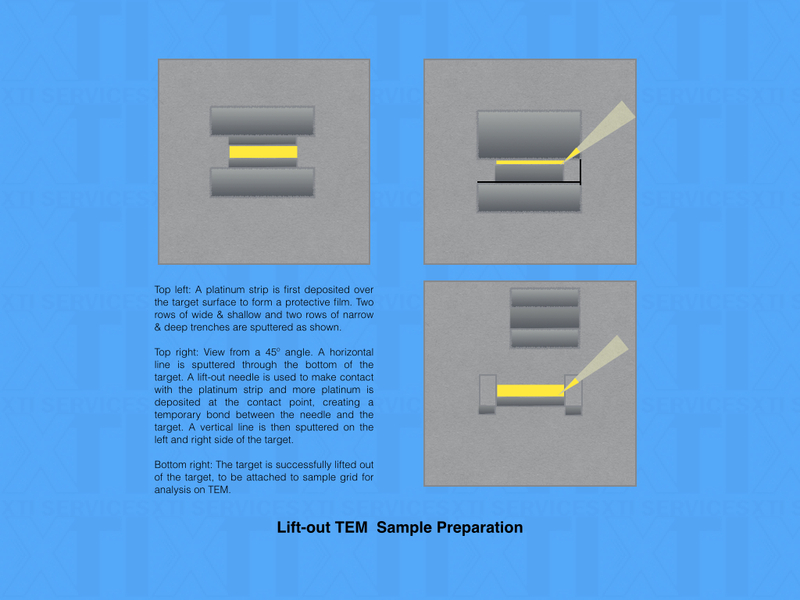 Platinum deposits can perform as a protection film as well as a temporary bonding agent in lift-off TEM sample preparation. See Figure 3. 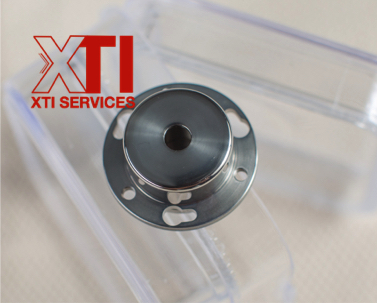 XTI Services is able to supply FIB consumables parts such as Pt source, extractor and suppressor. Overhual emitter, FEI sidewinder column and parts repair. Fully compatible, replacement extractors for sidewinder and tomahawk column.